A teenage girl, who possesses the “Mystic Eyes of Death Perception,” a supernatural ability that allows the user to see the “death” of everything in existence and kill the object by destroying its “origin.” She recently recovered from a two-year coma caused by a traffic accident. Prior to the traffic accident, she originally had two personalities, a male personality named Shiki (織), and the original female personality Shiki (式). 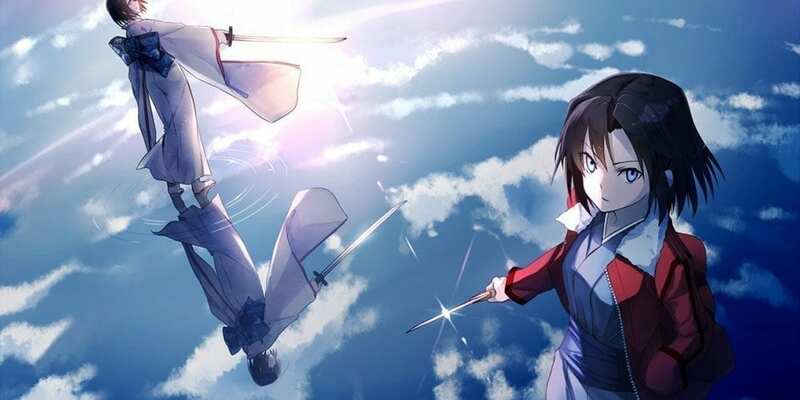 Children born into the Ryougi family are generally male and are raised with two personalities, so the male personality is customarily called the “yang” personality, while the female is called the “yin” personality. It is easy to tell which Shiki is speaking at a given time because they both have a distinct style of speaking, most notably that the female Shiki refers to herself with the pronoun watashi (私), while male Shiki refers to himself as ore (俺). After waking from her coma, Shiki discovers that she can no longer feel the male Shiki’s presence and assumes that he died because of the accident. She also feels a detachment from her memories before the accident, and while she knows she is Shiki, she does not feel that she is. In the hopes of regaining herself and the “dead” Shiki, she puts on a cold facade that somewhat resembles the male Shiki’s and tries to act as the female Shiki did. Touko understands the sense of detachment Shiki feels, but considers the current Shiki a third, new personality.